Two new transit-oriented mixed-use projects are now underway just outside of Washington, D.C, in affluent Montgomery County, Maryland, as developers look to capitalize on the built-in public transit despite metro ridership hitting record lows. At the White Flint Metro station in North Bethesda, local real estate developer LCOR and the Washington Metropolitan Area Transit Authority (WMATA) are moving forward on the third luxury apartment project at the venture’s North Bethesda Center development that has already brought more than 600 high-end apartments and a 63,000-square-foot Harris Teeter grocery store to the north end of the Rockville Pike retail corridor. 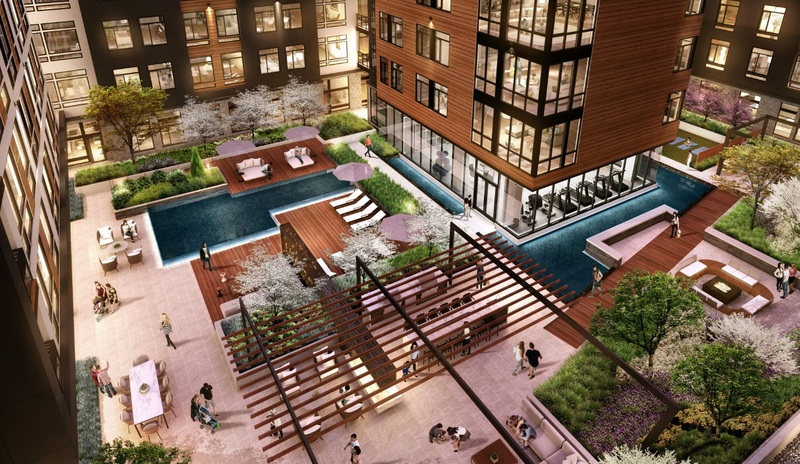 Named Arrowwood, the 254-unit, six-story project has been designed by Design Collective to incorporate about 10,000 square feet of high-end, ground-level amenity space that includes courtyards with an outdoor-water feature, multiple lounge areas and outdoor grills; a clubhouse; a fitness center; a 24-hour co-working environment, two music rooms and Do-It-Yourself space. The project is being constructed by Davis Construction at 5410 McGrath Blvd., and is slated to open in spring 2021. The development marks the third residential phase of North Bethesda Center, a larger transit-oriented project that is the result of a longstanding agreement where LCOR, as ground lessee, leases the ground from WMATA, the ground lessor. The development also houses the 341-unit Aurora and 312-unit Wentworth House, as well as the 362,000-square-foot headquarters building of the U.S Nuclear Regulatory Commission. For WMATA, the benefit isn’t limited to the rent. In Arrowwood, the Washington area’s main transit service may get an additional benefit as transit-oriented developments can also provide a bump in metrorail ridership, which according to the latest Metro Performance Report is at a 20-year low. The Arrowwood project alone is expected to bring approximately 120 additional Metro commuters per day – or nearly 44,000 riders per year. In Glenmont, Maryland, Elion Partners and Buchanan Partners broke ground on a new 254-unit apartment project adjacent to the Glenmont Metro station, the first new apartment project in Glenmont in decades. The Atelier, at 2511 Glenallan Road, will feature studio to two-bedroom apartments with all the high-end amenities that have become standard for new luxury apartment projects including an outdoor pool, fitness center with yoga room, movie/media room, rooftop deck, pet spa and clubhouse, all within a three-minute walk of the Glenmont Metro station, the last stop on the red line. Dwell Design Studios designed the project, which is scheduled to open in the third quarter of 2020. Buchanan and Elion late last year bought a 164-unit property and an adjacent 3.5-acre site in Glenmont for $34 million, with the parcel to be the future home of Atelier. The project marks the third development partnership between the two firms, which together have developed more than $150 million in real estate throughout the Mid-Atlantic. “Due to the strong demographic growth in this submarket and its supply-constrained nature, our long-term investment in this asset will service professionals seeking close-in housing, lifestyle amenities, and a convenient commute to downtown Washington, DC.,” said Juan DeAngulo, managing partner and co-founder of Aventura, Florida-based Elion Partners, in a statement. 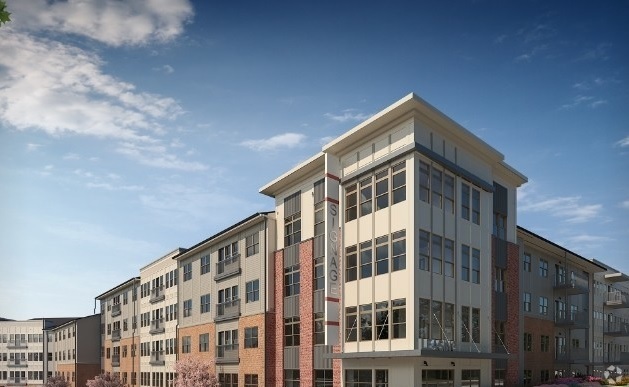 Elion and Gaithersburg, Maryland-based Buchanan Partners secured a $57 million loan through the U.S. Department of Housing and Urban Development, or a HUD loan, for the project.